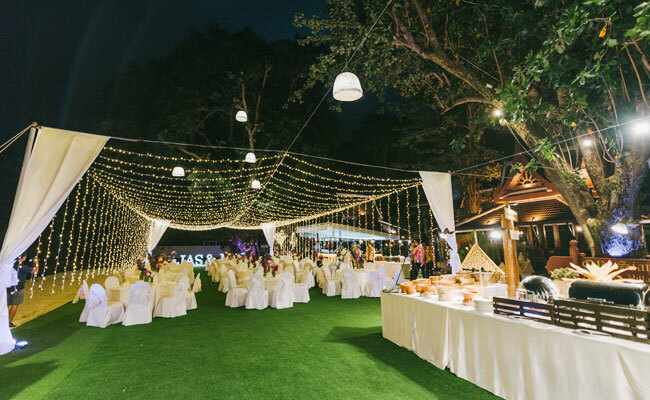 " To create the Indian wedding of your dreams in Phuket, we can tailor venue decorations and themes according to your preferences. 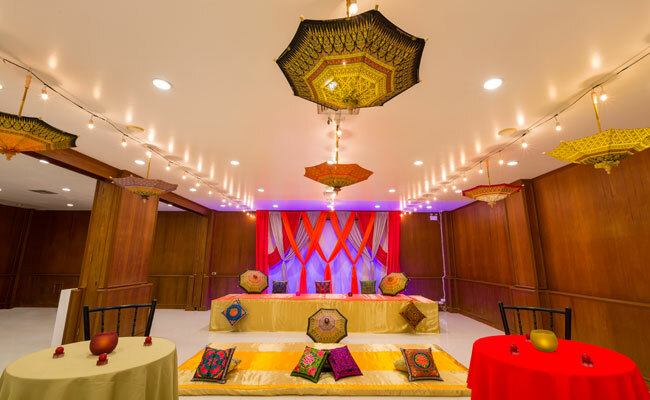 In addition to our team of professionals, you are always welcome to bring in your preferred Indian wedding planner to assist you in your special day. " 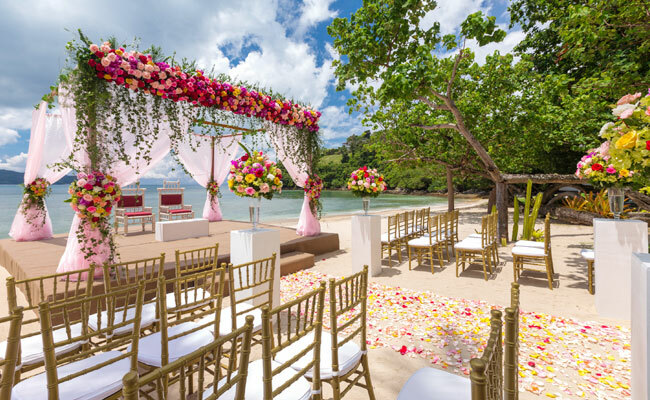 We can tailor the beach Mandap of your dreams. Customize drapes and floral color themes according to your tastes and preferences. An Indian wedding cannot be complete without a Mehendi pool party. 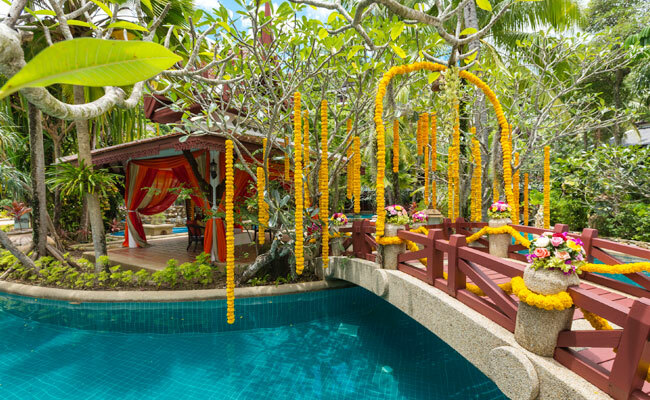 Enjoy a beautifully decorated serene poolside venue. Unite family and friends and enjoy three days of fun and unforgettable memories. Tailor your event schedule according to your preferences! 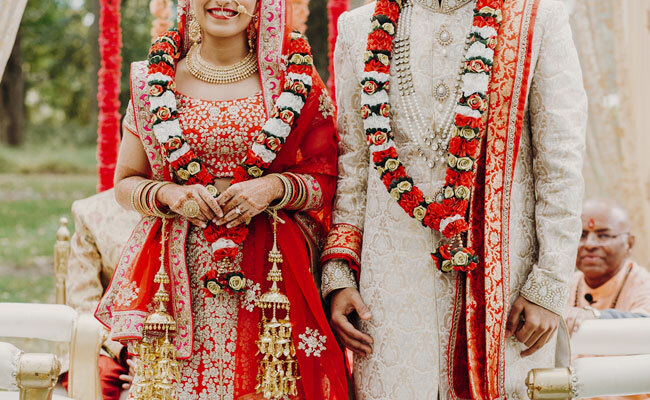 Traditionally celebration and solely conducted to relish in the happiness and joy surrounding the couple. With our extensive experience in weddings, ensure delicious Indian and International cuisines.